Joe Garcia drew my attention to this wine last summer. Thank goodness he did! 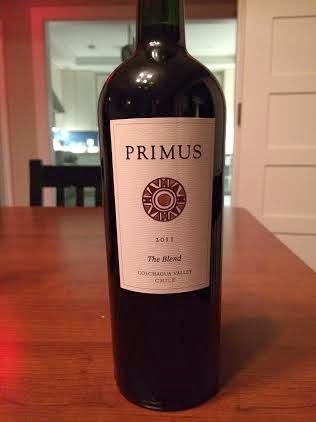 Although some of us were familiar with it, I thought it a good pick for tonight's tasting. Father Clifford: BALANCE. Anyone who can blend five wines so well must be very smart. Depth of flavor. Marvels, over and again, at the skill of the blending. Liz, draining the glass, admitted it was rather good. Randy: Very very enjoyable. Nicely balanced and deep; good fruit; lovely bouquet. Tastes berry and a hint of smoke. Sean: wants to know why "Red" wine doesn't taste like fruit punch.